As soon as you hear of Los Angeles (LA), you think, movie stars, expensive cars and huge houses; well, this is exactly what you get. As soon as you arrive, you can feel the excitement. You will see the legendary Kodak Theatre, the Staples Center, the Historic Roosevelt Hotel and of course Rodeo Drive. Los Angeles is a city of diversity, quirkiness and never ending entertainment. 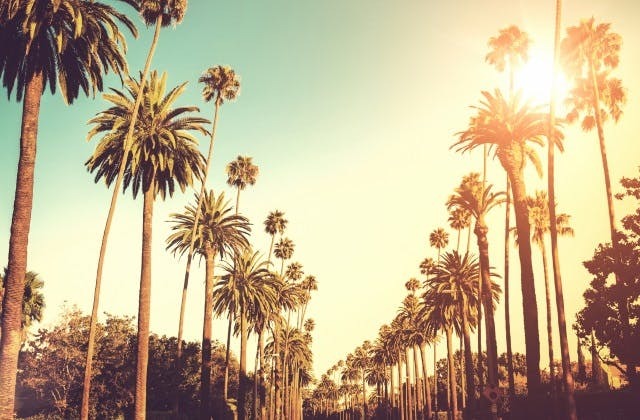 Beverly Hills exceeds it's reputation and Santa Monica is one of the most popular beach destinations in the world. You can entertain yourself all day at Griffith Park, where, people watching is the sport and movie stars are spotted daily. Dan Tana's is another historic celebrity hangout that also boasts good food. Los Angeles is habit forming, and you will vow to return. To Los Angeles, the slowest flight is 58 hrs 15 mins on Virgin Australia, going through Sydney, Melbourne (Tullamarine). Los Angeles has the UTC/GMT offset of -28800. The closest international airport to Los Angeles is Tijuana in Mexico.